As some native animals retreat to their dens, another world wakes up in Estes Park and Rocky Mountain National Park. It&apos;s considered a favorite season by many visitors, because as soft snow blankets the valley, the views become even more dramatic and the backcountry even more delightful! There is plenty of outdoor fun to explore by snowshoe or backcountry ski on the snowy trails in Rocky Mountain National Park. Attend a Centennial Saturday Evening Seminar at the Beaver Meadows Visitor Center throughout the winter. Plan a getaway during a winter event in Estes Park, a perfect complement to a weekend of play in Rocky Mountain National Park. Warm up in the village by dining fireside or shopping in the downtown stores and boutiques where you can pick up a variety of Rocky Mountain National Park centennial gifts for loved ones. 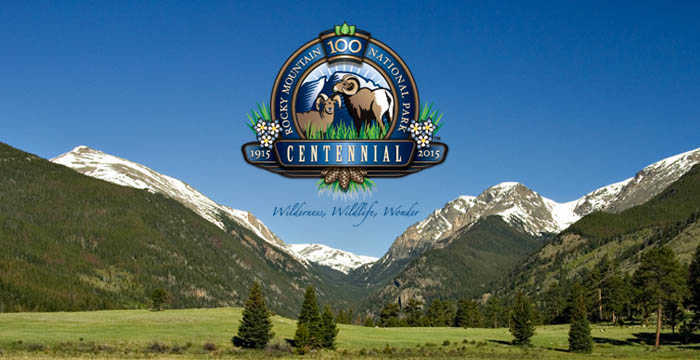 The centennial year is full of fun special events including Rocky Mountain National Park&apos;s 100th Birthday Celebration on January 26, 2015 or the Centennial Re-Dedication Ceremony on September 4, 2015. The village of Estes Park is also celebrating all year long with special events including Elk Fest, the Fall Back Beer Festival, Catch the Glow Holiday Parade & Tinsel Tavern Tour, The Estes Park Winter Festival, Rooftop Rodeo, and many more. Attend a Rocky Mountain National Park ranger-led program where you walk side by side with a park ranger while learning all about the environment around you. Take a photography, wildflower identification or orienteering class with the Rocky Mountain Conservancy. Be adventurous by enrolling in an avalanche safety course to prepare you for the pristine backcountry skiing conditions in Hidden Valley or try a rock climbing lesson on some of Estes Park&apos;s world class granite walls and boulders. Everyone in the family can celebrate Rocky Mountain National Park&apos;s centennial, kiddos can become a Jr. Ranger by learning important preservation and park operation information. In the village, kids and family activities range from mild rides down the giant slide to thrill -seeking climbs on the indoor rock climbing wall at the local climbing gym. Whether it is on foot, horseback or mountain bike, there are hundreds of miles of trails to explore. 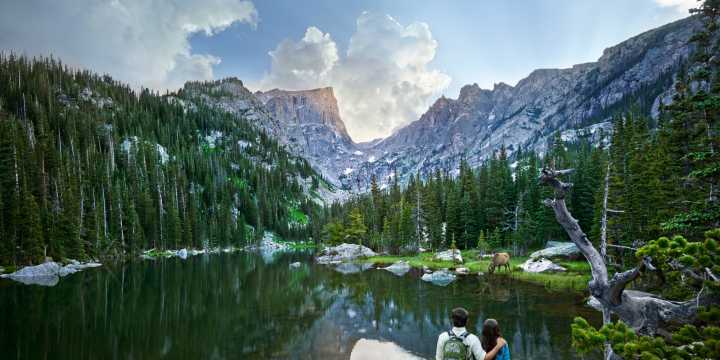 Rocky Mountain National Park alone offers over 300 miles of hiking trails from easy loops around the accessible Bear Lake to summiting craggy peaks within a day. For big views in an easy day hike, set out on the 1.8 mile one-way hike to Emerald Lake that is easily reached during the summer and on snowshoes in the winter. Estes Park is your basecamp for adventure in Rocky Mountain National Park with lodging options including cabins, cozy B&Bs and historic lodges to rest your legs after a day of exploring the park. Be part of this once-in-a-lifetime event, book your Centennial getaway today!